Department of Agricultural Extension and Rural Development, Faculty of Agriculture, University of Ilorin, Ilorin, Kwara, State, Nigeria. Tel: +2348033817180, Email: adesiji.g@unilorin.ed.ng. Prof. G.B Adesiji is a Professor of Agricultural Extension and Rural Development, University of Ilorin, Ilorin, Kwara State, Nigeria. 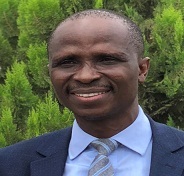 He started his University education from University of Ibadan where he bagged B.Sc, MSc and Ph.D. in Agricultural Extension and Rural Development in the year 1995, 1998 and 2002 respectively. His research interests are in the areas of training and human development, dissemination of innovations, agricultural knowledge, gender issues, entrepreneurship, innovations and communication technology in agriculture, youths and children in agriculture. He is a member of many professional bodies include Nigerian Forum for Agricultural Advisory Services (NIFAAS); International Association of Agricultural Extension and Education (AIAEE); Child & Youth In-Agriculture Programme in Nigeria (CYIAP); Agricultural Extension Society of Nigeria (AESON) and Rural Sociological Association of Nigeria (RuSAN). He has won many scholarships and grants and has attended many conferences both local, national and international. He teaches and supervises both undergraduate and postgraduate students and he his involved in community services. Prof. Adesiji was one time a Head, Department of Agricultural Extension & Rural Development, University of Ilorin, Ilorin, Kwara State, Nigeria (2015 to 2017). He is currently a Consultant to International Fund for Agricultural Development (IFAD).